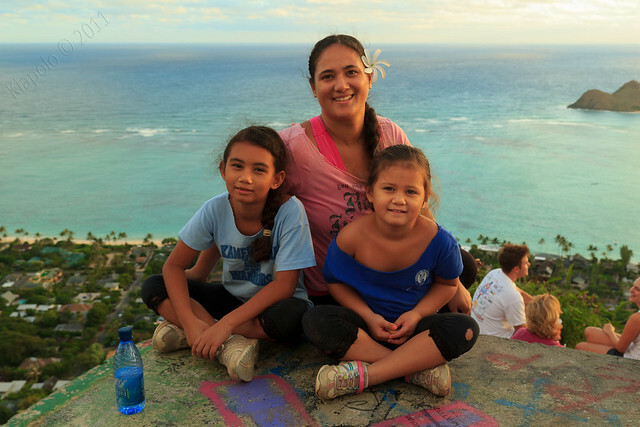 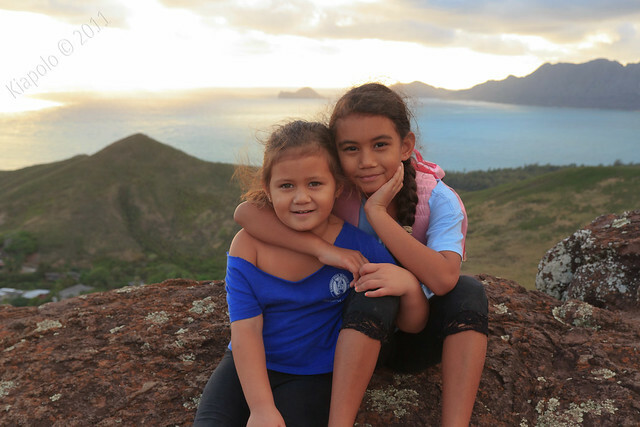 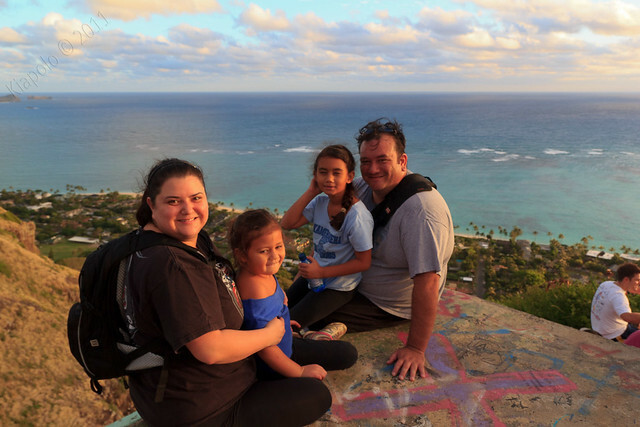 Sommer, Chas, Anale`a, Olena and I headed up Ka`iwa Ridge to the Lanikai pillboxes for a Thanksgiving morning sunrise hike. 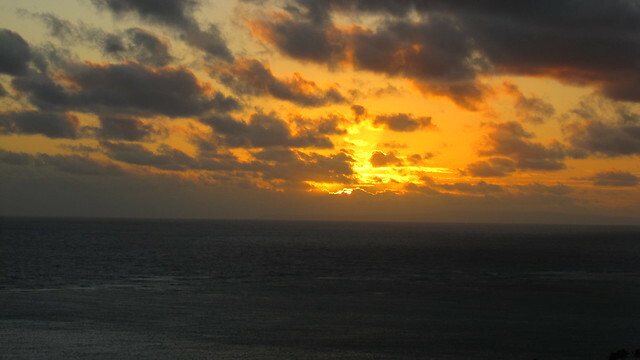 After starting a little later than I would like, we got to the first bunker just as the peaked above the clouds. 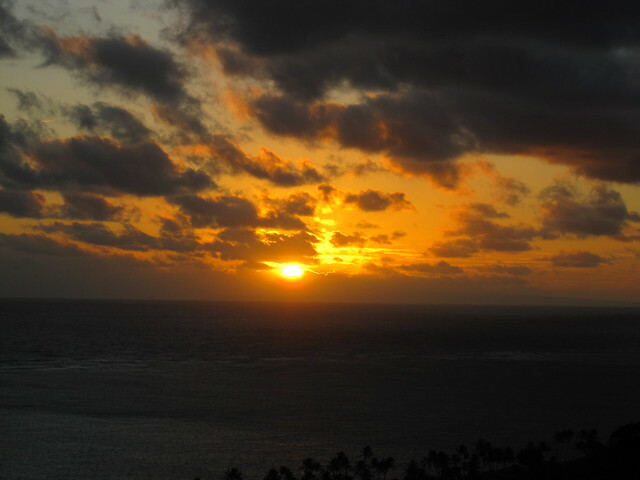 Another great start to the day! 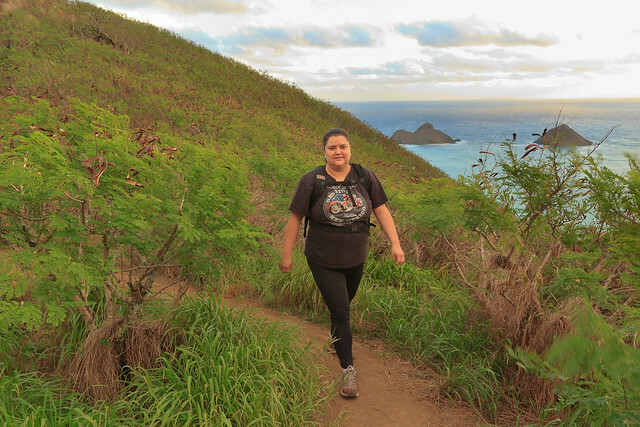 From the bunkers we headed mauka and past Pu`u Lanikai and on to Keolu Hills. 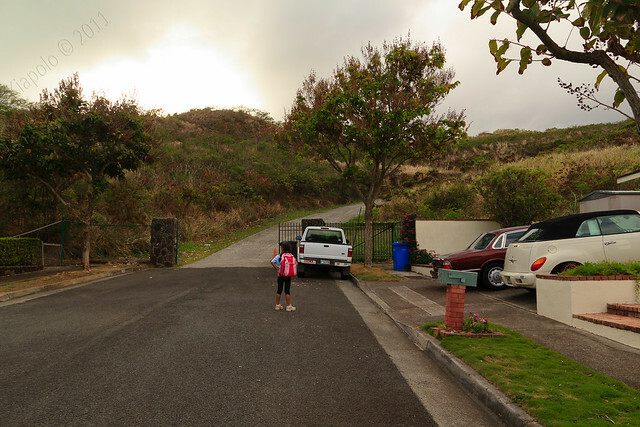 Ka`iwa Ridge/Keolu Hills is so beautiful in the morning. 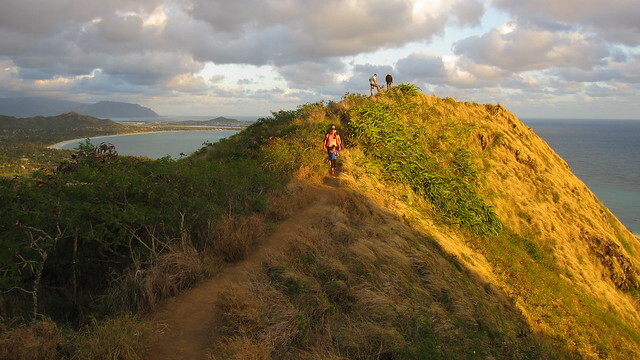 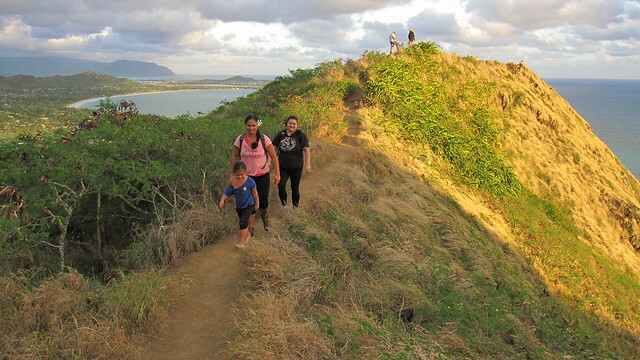 The trail offers great views of Kailua, Waimanalo and the Ko`olau ridge. 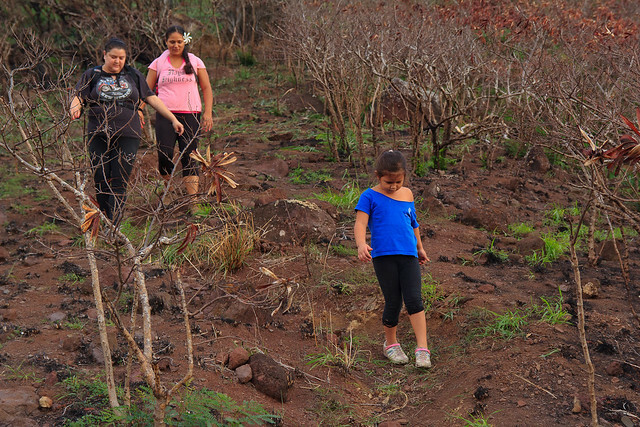 Ana and Olena were such troopers! 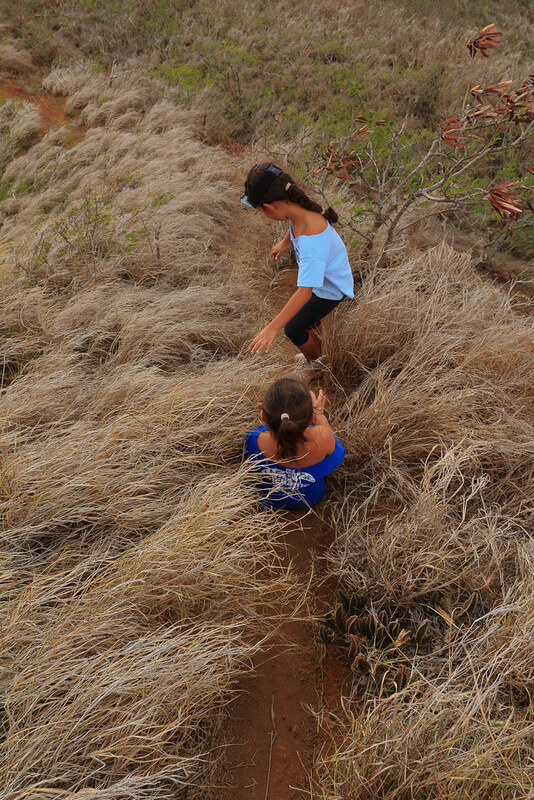 We made our way down Keolu Hills ridge. 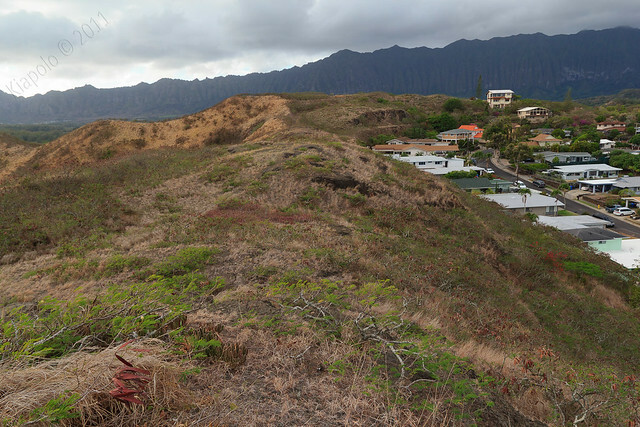 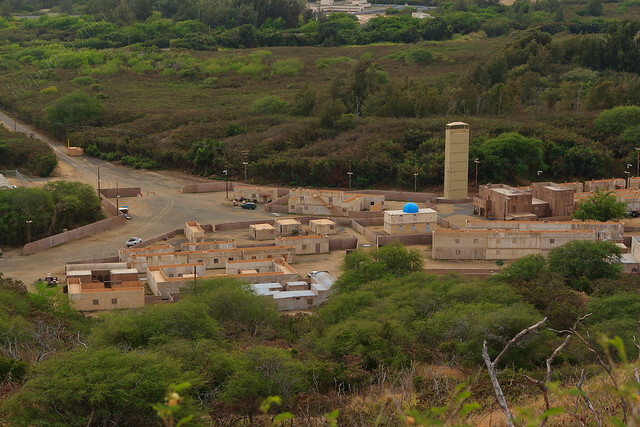 we checked out the urban warfare site at Bellows. 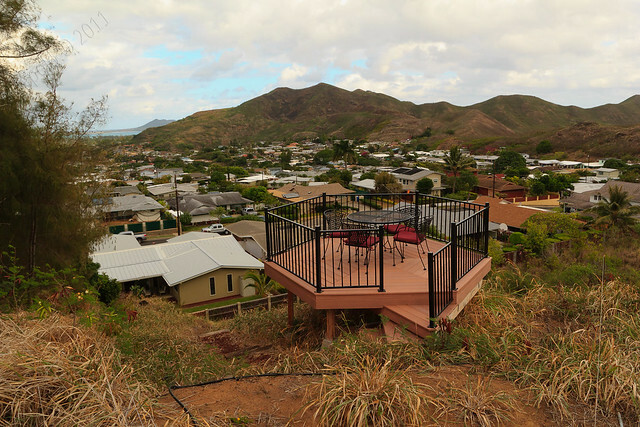 Someone set up a nice deck on the Keolu Hills ridgeline. 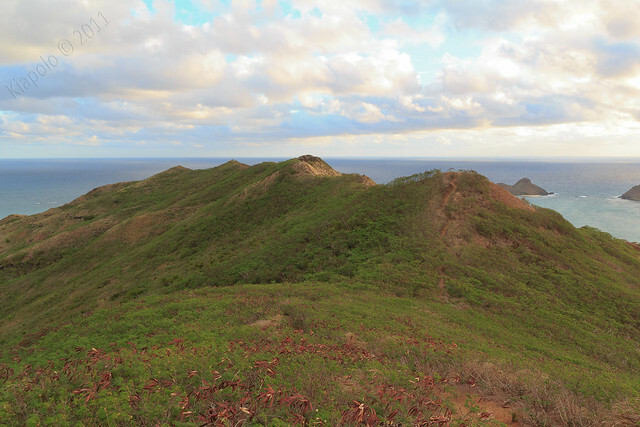 Soon we decided to make our way off the ridge and had Kai come pick us up and take us back to our car back in Lanikai. 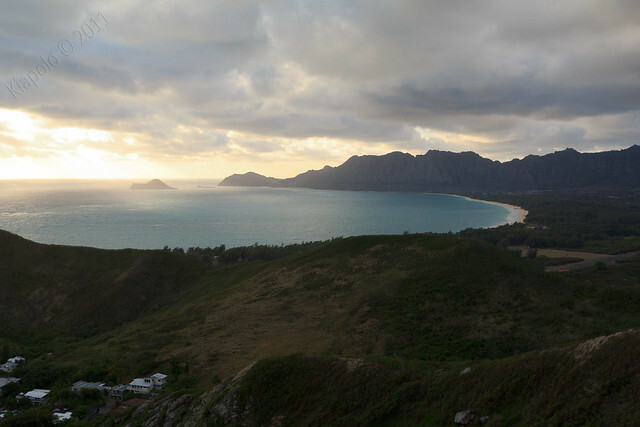 Our hike from the Lanikai bunkers. 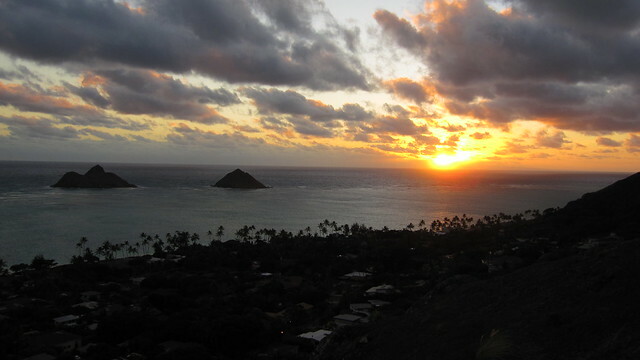 I never get tired of Ka'iwa!